Ford Mustang information: everything you need to know if you own it, are thinking of buying one or just want to find out more about the origianl American muscle car now it's made its way to the UK. Click on the links below for all of CAR magazine's news, reviews, videos, scoops and spy photos of the 'Stang range. The Mustang has become a byword for affordable American muscle cars - it's crafted a carefully orchestrated reputation for democratic fun over six successive generations. In 2015 the Blue Oval took the decision to engineer the latest model for right-hand drive sales. So you can now buy one in your local Ford dealership. 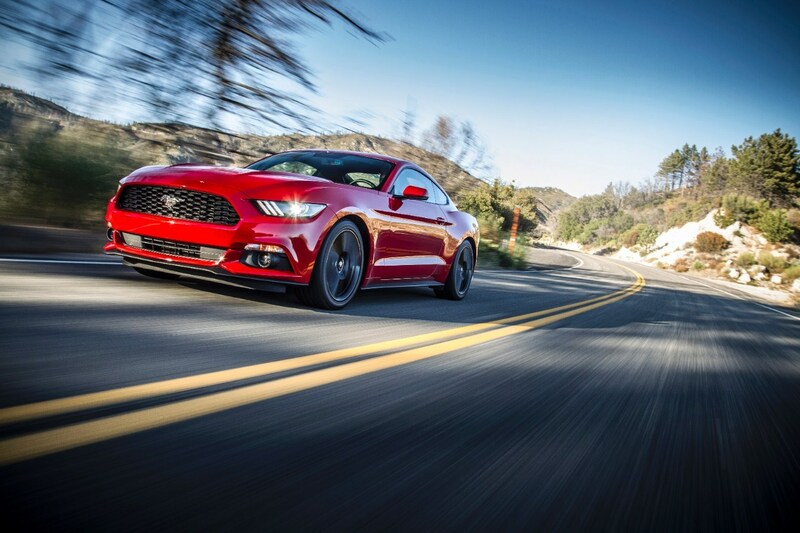 For more information on the Mustang car range, click on our further stories on the links below. The new Mustang has developed into a highly credible package. The fact that Brits can now sit on the right-hand side is the icing on the cake. The latest fifth-generation model has abandoned earlier iterations live rear axles and crummy interiors for a more sophisticated, global package. But what's clever about it is how Ford has managed to keep the drama intact. A choice of spicey engines helps: pick from the more Euro-focused 2.3-litre EcoBoost four-cylinder turbo (310bhp and 35mpg economy) or the real deal, full-fat American-spec 5.0-litre V8 developing a fulsome 415bhp and a soundtrack to die for. And isn't that the whole point of owning a Mustang? Despite the more modern multilink rear axle, this car will still slide and when the bent eight lump is hurtling you to the next corner with an angry wub-wub hammer-tune, you'll forgive the still slightly crappy interior quality. This car has character in spades, and we respect it hugely. That prices start at £30k for a four-pot seal the deal. Pace, noise, style - the sheer iconic drama of the thing! Just another modded ‘Stang or something more worthwhile?